Lovely Patio and Garden Retreat Creations. Turf-N-Tree has been Central and Tri-Valley homeowners’ preferred landscaper for more than 25 years. Year after year, nearly 80% of our business comes from satisfied repeat customers and their referrals. Serving Tracy, Livermore, Pleasanton, and the surrounding communities in California, the landscape professionals at Turf-N-Tree are acknowledged experts in designing and installing outstanding residential and commercial landscapes and patios. Give us a call to find out how we can bring real curb appeal to your front yard, or create a special garden oasis in your backyard. 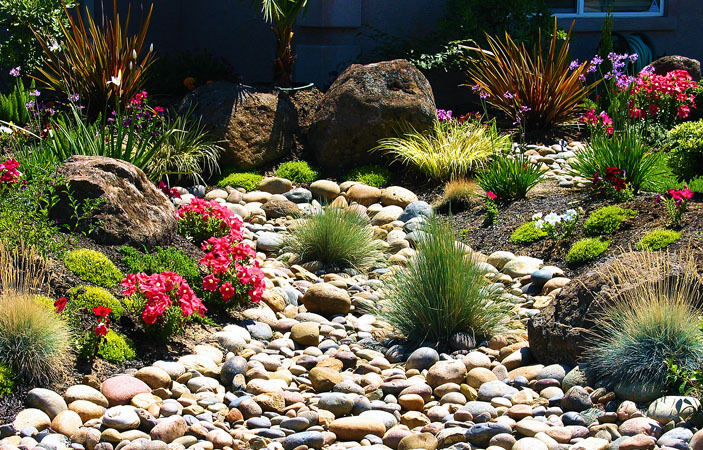 We deliver beautiful and affordable landscaping that enhances your lifestyle and the value of your home.